The University of Wyoming School of Pharmacy wants to stay connected with our alumni, faculty, staff, researchers, and students, and to recognize and share their accomplishments. 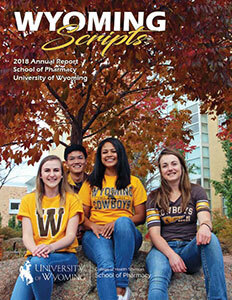 Wyoming Scripts is the University of Wyoming School of Pharmacy annual report and newsletter. 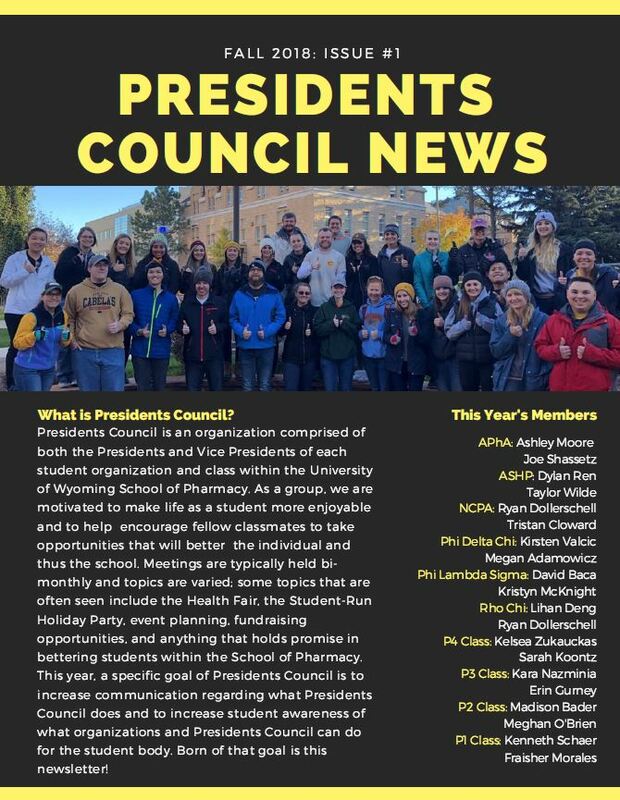 The News Capsule was the University of Wyoming School of Pharmacy's quarterly electronic newsletter.